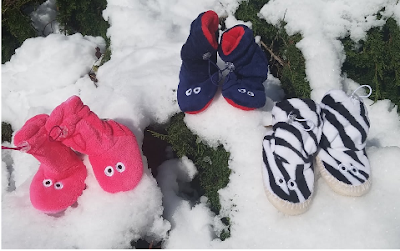 Jane has kids cozy fleece slippers on sale for just $5.99 with free shipping. Available in sizes 12 months to 7T and in colors pink, blue or zebra. Reviewers say they are very soft and warm.